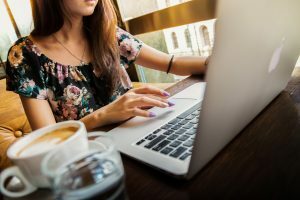 There was a time when distance learning and online education degrees carried a bit of an unfounded stigma, particularly for job seekers competing against applicants who graduated from traditional universities. Now that e-learning has revolutionized higher education, it helps to remember that two famous individuals, whose career success played a crucial part in the modern history of Miami, obtained their college degrees through distance learning. Edward Vernon Rickenbacker was a World War I ace fighter pilot who would later become the first CEO of Eastern Airlines, a major passenger air carrier that competed with the likes of Delta, Pan-Am and American Airlines. Eastern used to be headquartered at Miami International Airport; the airline is remembered for being the first to fly DC-8/ aircraft, the first commercial jet. To be allowed to fly in the United States Army Air Corps, Eddie Rickenbacker needed a college degree, which he completed through correspondence courses. When the Miami Heat became NBA Champions for the first time in 2006, the legendary Shaquille O’Neal was instrumental during the season, playoffs and final series. Years before arriving in Miami, Shaq became legendary playing with the Los Angeles Lakers, a team that signed him before he could finish his bachelor’s degree. By the time Shaq transferred to the Heat, he had already earned a Bachelor of Arts degree in business plus his MBA, both degrees completed through online education. If Rickenbacker earned his degree while in the Army and Shaq while dunking on everyone in the NBA, you can certainly fit an online college education program in your life. 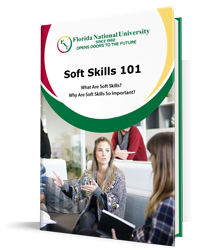 At Florida National University, many students prefer the flexibility of e-learning because it allows them to continue working while they make an effort to improve their career prospects. The circumstances that propelled Jobs and Zuckerberg to entrepreneurial stardom are highly unusual. 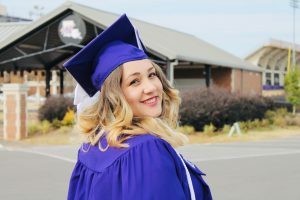 A preponderance of the numbers clearly show that most people attain financial success via a career path and in the 21st century, that starts with a college education. According to figures published by the U.S. Bureau of Labor Statistics, 8.4 million of the 11.5 million American jobs created during the Obama administration went to workers who had at least some college education; within this job growth, the positions with the most handsome salaries routinely go to those who complete their degrees. Furthermore, the unemployment rate for college grads in 2018 was just 2.1%, while job seekers with only high school diplomas make up 3.9% of the unemployed. As a Registered Nurse in Florida, you can expect median annual salaries of $64K; however, you can increase your earning potential with a Master of Science in Nursing degree, which you can leverage into a nurse practitioner salary of $112K per year. American companies love to hire business majors, particularly those who earn their Master’s in Business Administration. At FNU, you can start working towards your MBA by completing 120 baccalaureate credits, which could get you in the door at many companies looking for business managers and specialists starting at about $50K per year. Once you complete your online MBA program and get into business development, you can expect annual salaries higher than $100K per year. For more information about the MBA program, feel free to contact FNU’s academic advisers. For the most part, paralegals in Florida do not earn impressive salaries until they get into the 75th percentile of their career field, where they can find salaries starting in the $80K annual range. The Bachelor of Arts online degree program offered by FNU focuses on giving students that extra knowledge they can leverage into specialization and higher salaries. The upper level electives of this program can set you apart from the competition and get you in the door at high-earning boutique South Florida law firms; for example, bilingual students can combine international law with immigration, business and bankruptcy law to become a more attractive job candidate. We’ve been listed on several sites as one of the most affordable online paralegal programs, as well! This is a career field growing at a very fast rate in South Florida because of the aging population and retirees flocking to Florida. A hospital administrator, for example, can easily make $100K per year; however, you should really aim to get elected to the board of directors of a regional health system where you can more than double that salary. FNU is accredited by the Southern Association of Colleges and Schools Commission to grant Certificates, Associate’s, Baccalaureate and Master’s degrees that are recognized nationally. At FNU, our online education students will not only get the benefit of flexible e-learning but also financial assistance and career counseling. Check out our scholarships that are both specifically FNU students as well as other qualifying factors, and tuition incentives for the military, government workers and for your company at large. An online college degree is the first step towards high salaries in South Florida and across the U.S.; contact FNU today to learn about our programs.